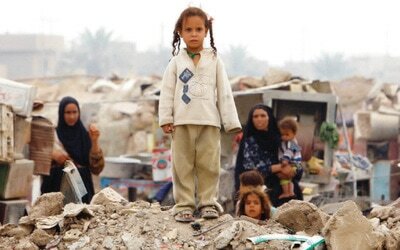 The plague of poverty ignited by America’s war on Iraq 14 years ago, knows no religion or sect. It has poisoned the entire country, striking Shia, Sunni and Kurd communities, but children most visibly. Landfill scavenging has become an occupation increasing numbers have embraced. Children and, at times, entire families search for recyclable goods and items of resale value. There are at least two landfill sites in every Iraqi city. While some people are drawn to these spaces for their income-generating opportunities, families unable to afford formal housing establish homes on landfills. 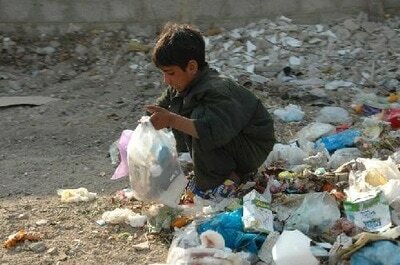 A young child peddling cigarettes, tissues or drinks is a common sight on the streets of Iraq.